Pioneers in the industry, we offer aqua culture/ shrimp culture/ prawn culture pond liners from India. 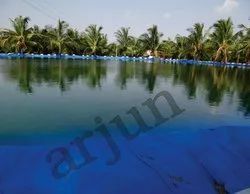 we are the largest suppliers of Aqua culture /Shrimp culture/Prawn culture pondliners in India.. Our products are lasting longer and we have 200, 230 , 250 gsm which are mostly used for these applications and we are the pioneers in this field and our products are the most sought after ones, as they perform good for many many years. Looking for “AQUA CULTURE SHRIMP PRAWN CULTURE PONDLINERS”?